Whether your lunch is hot or cold, a thermal food storage container can help to keep it at a safe temperature until you’re ready to dig in. The CDC estimates that about 1 in 6 Americans (or 48 million people) get sick, 128,000 are hospitalized, and 3,000 die of foodborne diseases each and every year, which makes ensuring packed lunches are kept at a safe temperature of the utmost importance. Young children, pregnant women and the elderly are all at increased risk of contracting a foodborne illness. 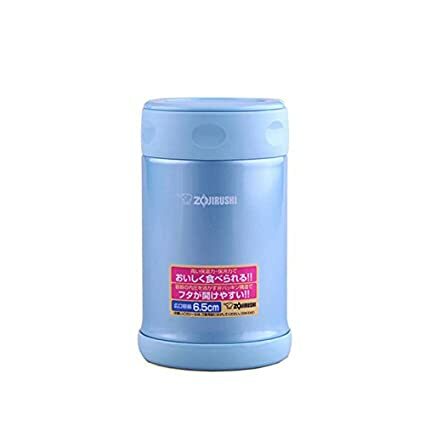 The most popular brand of thermal food storage containers is Thermos and like Kleenex and facial tissue, the brand name is frequently used in conversation to refer to thermal food storage containers. 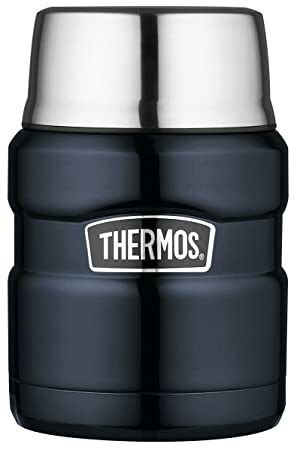 Please note that in this post we will use the word thermos to refer not only to the brand but to thermal food storage containers in general. Read the instructions that came with your container. The directions will let you know how long your container will keep hot foods hot and cold foods cold. This will vary depending on the size of the container and materials used as well as whether or not it is double (or triple) insulated. Pack hot foods steaming hot and cold foods ice cold. Foods will need to be packed at at least 165F (for hot items) and 40F or below for cold items to be safe to eat. If you open your thermal food storage container and find the food is not appropriately hot or cold, throw it out as the risk of foodborne illness has increased. Once opened, discard any uneaten food. Your food will need some liquid. 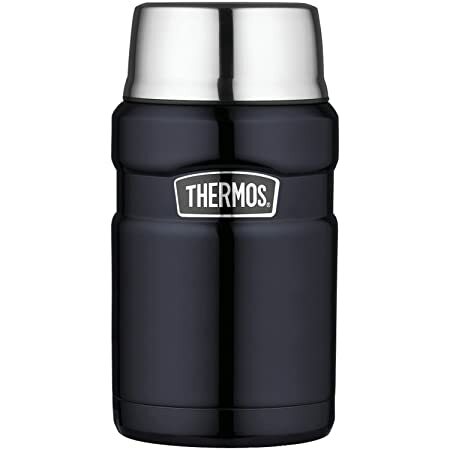 A thermos can only keep hot foods hot and cold foods cold if it has some liquid in it, such as soups and stews. Without any liquid, the container will not be able to maintain a food-safe temperature and so food won’t be safe to eat after two hours. Pre-heat or pre-chill. Your hot foods will stay warmer longer if you pre-heat the container with hot water (either from the tap or kettle works just fine) and your cold foods will stay colder longer if you put the container in the fridge or freezer to chill first. You can also fill the container with ice water and let sit for a few minutes to chill quickly. Discard water before packing your food. Pack just before leaving. Your food will remain at a safe temperature longer the closer you can pack them before heading out the door. Be careful opening. Hot foods can and do burn and young children are especially vulnerable. Offer assistance or take your time when opening a hot thermos. Hand wash. While some thermal food storage containers are dishwasher-safe, you’ll extend the life of your thermos by hand washing it. This small-sized thermal food storage container is perfect for packed lunches and is available in a multitude of colors and motifs to suit nearly any personal style. The stay-cool exterior means you won’t have to worry about burns when picking up the container. This thermal food storage container is ideal for larger-sized portions and comes with a built-in spoon for easy packing and eating. The wide mouth is easy to fill and eat out of, and is available in a selection of color options. Ideal for the hungriest of eaters, this large thermal food storage container will keep food cold for up to 12 hours or hot for up to 9 hours. It features a wide-mouthed design that’s easy to fill and eat out of and has a stay-cool exterior. 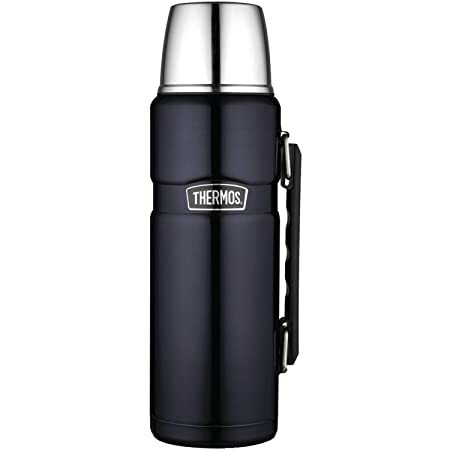 This classically-styled Thermos features the brand’s patented vacuum insulation to provide maximum temperature retention, whether you’re packing hot or cold items. It will keep items hot or cold for up to 24 hours! 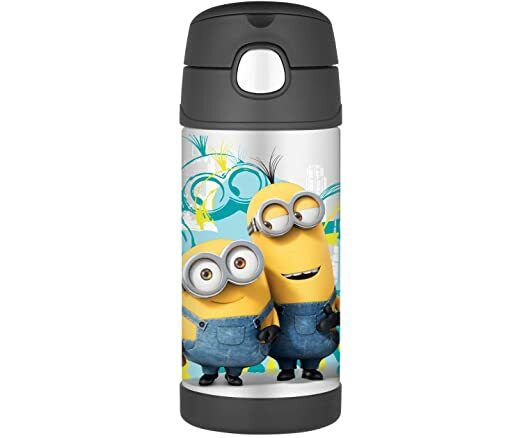 A fun little water bottle for the little ones, this Minions-inspired container will keep beverages cold for up to 12 hours and is also available in a number of other designs and colors to suit nearly every style. 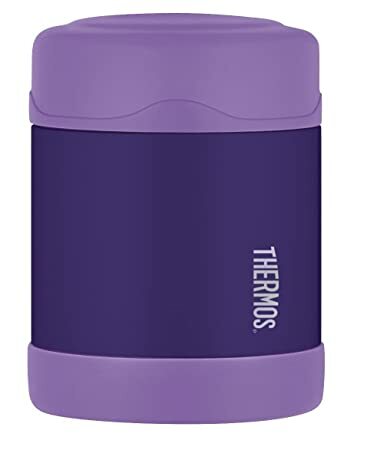 Available in a choice of colors, this Thermos water bottle features a flip-top lid for easy hydration and an additional clasp for security when traveling. Perfect for the kiddos, this drinking bottle is made of stainless steel, so you don’t have to worry about any nasty chemicals leaching into your child’s drinking water. It also helps prevent the growth of potentially dangerous bacteria. 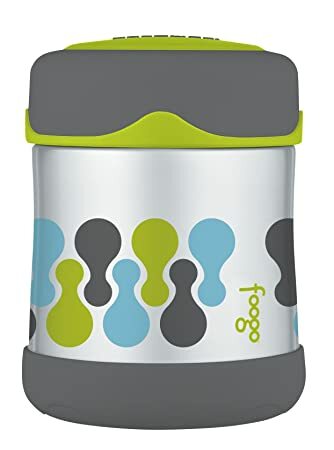 This water bottle is the perfect size to hydrate little ones and comes in a multitude of colors and designs to suit nearly any personal style. It boasts a hygienic push button lid with pop-up straw and can keep beverages cold for up to 12 hours. These stylish food storage containers are available in a number of colors and prints, and are designed to keep food cold for up to 7 hours or hot for up to 5 hours. Featuring a kid-proof design, its stainless steel interior helps to prevent the growth of potentially harmful bacteria. These food storage containers are easy to fill, eat from, and clean thanks to their wide-mouthed design. They can keep food cold for up to 7 hours or hot for up to 5 hours, and feature a stay-cool exterior to prevent burns. This durable stainless steel drinking bottle features a number of fun designs and colors to suit nearly any style and can keep your beverage cold for up to 12 hours. It features a durable stainless steel design and hygienic push button lid with integrated pop-up straw. 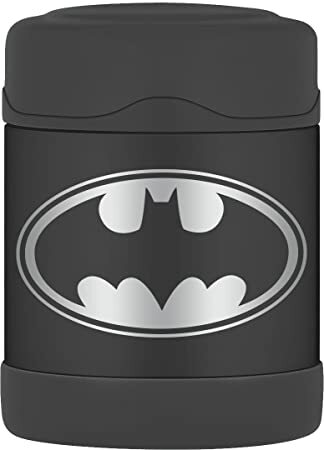 This classically-designed thermos features an incredibly durable and well-insulated design that can keep hot liquids hot and cold liquids cold for up to 24 hours, as well as ice items up to 120 hours! The 18/8 stainless steel won’t rust and features no nasty chemicals to leach into your food. This stainless steel hydration bottle is fully insulated and features Thermos’ patented vacuum technology to help keep liquids cold for up to 12 hours. Its design fits most standard cup holders in most automobiles so it’s easy to take with you. 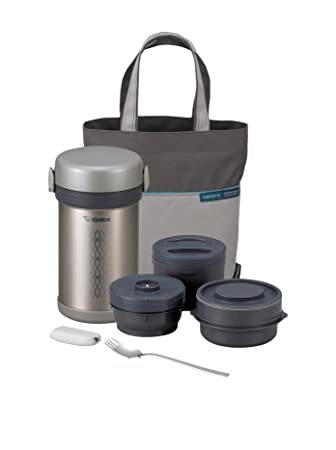 This thermal food storage container set features three sizes of microwave-safe bowls and a stainless steel construction that can keep foods hot or cold for several hours. You can even combine hot and cold foods for a complete meal in the jar thanks to the insulated separate containers. This vacuum insulated thermal food storage container can keep foods hot or cold for up to 15 hours at a time and features a wide-mouthed design that’s easy to fill, eat from, and clean. 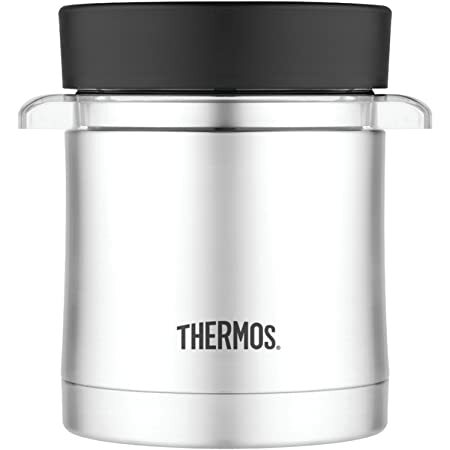 This food storage jar is made with an unbreakable stainless steel interior and exterior that features the brand’s Thermax double wall vacuum insulation system to keep hot foods hot for up to 5 hours and cold foods cold for up to 7 hours. 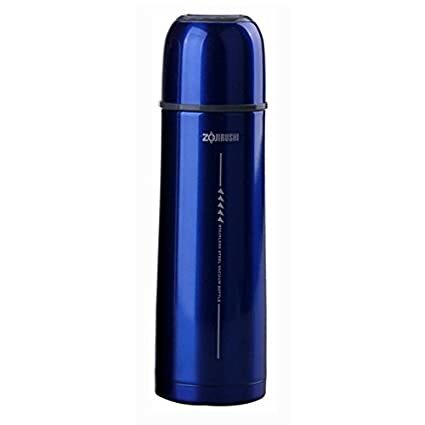 Perfect for those who love a cup of tea on the go, this Thermos features a built-in tea infuser attachment that allows you to brew loose leaf teas on the go. Thanks to its vacuum insulation technology, this container will keep hot liquids hot for up to 12 hours and cold ones cold for up to 24 hours. This stainless steel hydration bottle offers a stylish way to stay hydrated and comes in a number of designs to suit any style. With a comfortable textured grip and hygienic push button sipper lid, you can stay hydrated in comfort and with ease. This thermal food storage container is available in a choice of three sizes and two colors to suit most lunch packing needs, and features an easy-open lid with dimples for better grip. This thermal food storage jar will keep your hot foods warm for up to 5 hours and cold foods cold for up to 10 hours thanks to its high quality insulation. Its wide-mouthed, tapered design is easy to fill, eat from, and clean. 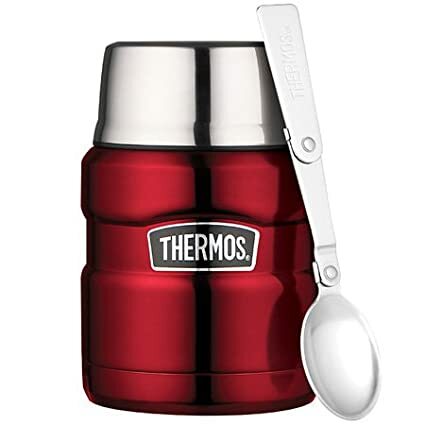 This food storage container from Thermos can keep liquids hot for up to 4 hours or cold for up to 6 hours. It features an inner liner that is both microwave- and dishwasher-safe for easy heating and cleaning. 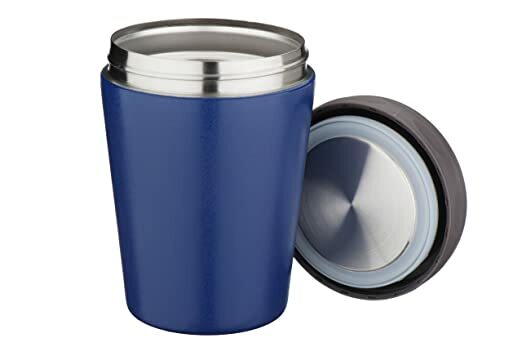 This insulated travel mug was designed for one-handed operation and features an easy-to-use drink lever and durable stainless steel construction. 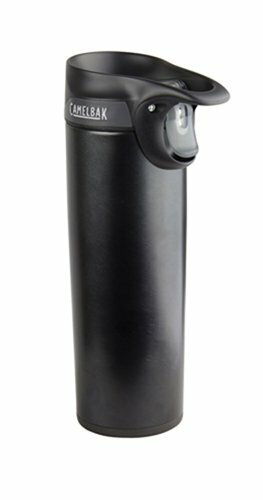 It can keep hot liquids hot for up to 4 hours and features a finger carry loop for ease of portability. Available in a choice of four colors, this food storage container can keep hot foods hot for up to 5 hours and features a wide-mouthed design that’s easy to fill, eat from, and clean. 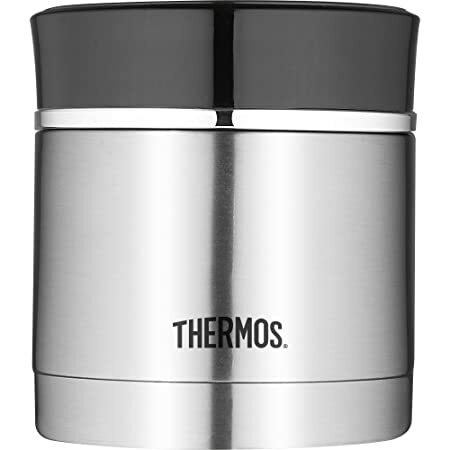 This thermos is available in a choice of two sizes and three colors to suit nearly any need and features a compact, lightweight design that’s perfect for on-the-go. The lid doubles as a cup so you don’t have to pack anything extra. 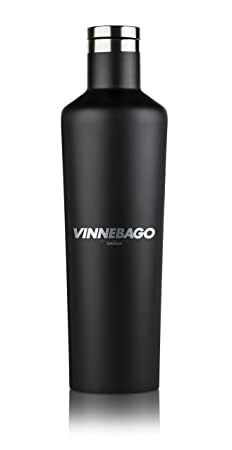 This insulated stainless steel bottle is the perfect size for holding a bottle of wine and will keep cold beverages chilled for up to 25 hours and hot ones hot for up to 12 hours.